From one hip-hop artist, a leaked email exposing the ugly, angry side of the struggle between artist and label. From the other, a frank chat at the end of a long tour about owning one’s art and brand. Two very different leadership lessons. The Marley names continues to dominate the Billboard Reggae Albums chart for this week. The name accounts for three of the albums on this week’s top 10. Leading the list of Marleys is Damian ‘Junior Gong’ Marley, whose collaboration, Distant Relatives, with US hip hop artiste, Nas, continues to hold on to the No 1 spot after 13 weeks on the chart. Distant Relatives is also charting on other Billboard charts. On the Top 200 it holds No 93; No 18 on the R&B /Hip Hop Album charts and No 11 on the Rap Albums charts. 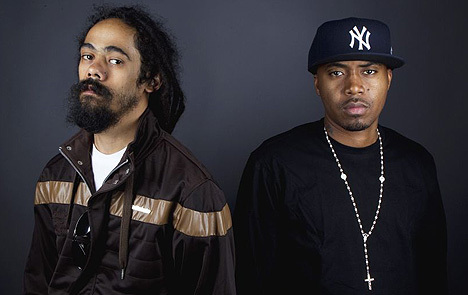 Distant Relatives, the joint album by rapper Nas and deejay Damian Marley has out charted the Rolling Stones to secure the top 5 position on the Billboard 200 album chart whilst also topping the Hip Hop and Reggae album charts for its debut week. 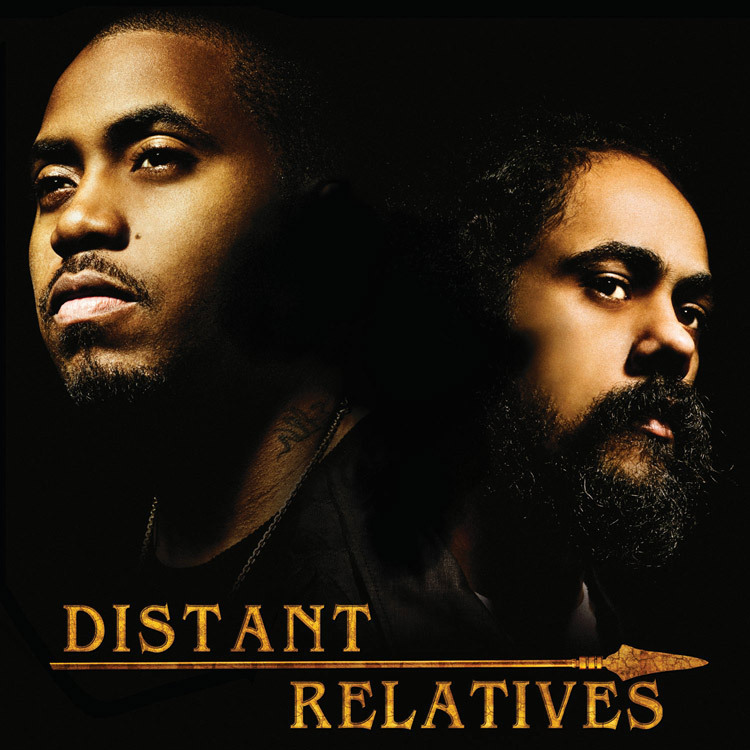 Nas & Damian “Jr Gong” Marley are Distant Relatives – Album in Stores Today! Nas and Damian “Jr. Gong” Marley are proud to announce the release of their highly-anticipated collaborative studio album, Distant Relatives (Universal Republic) on Tuesday, May 18, 2010. Featuring the signature instrumentation and musicianship of Damian “Jr. Gong” Marley with the hard-hitting beats and lyrics of Nas, the album title refers not only to the bond between the artists, but the connection to their African ancestry, which inspired the album both musically and lyrically. 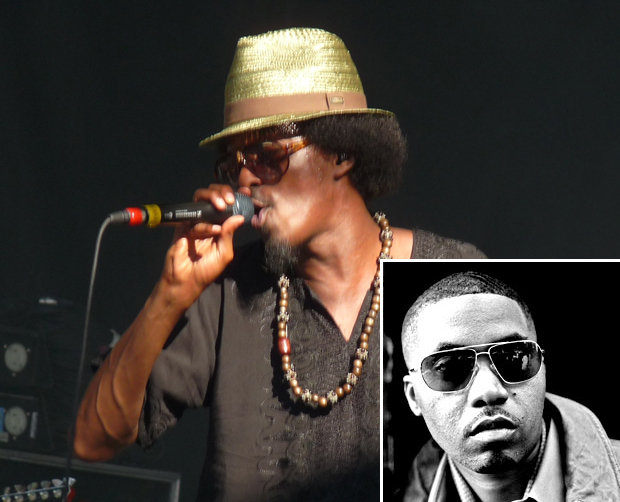 American rapper Nas and Reggae’s Damian ‘Jr Gong’ Marley thrilled audiences in Montego Bay this past summer as their performed together giving a snippet of what is to come on their upcoming project, Distant Relatives. Now, internet reports are indicating that in keeping with the album’s union of Hip Hop and Reggae music and culture, the duo has joined National Geographic for a Distant Relatives event.